This study considers the mixed convection boundary layer flow of a viscoelastic micropolar fluid past a solid sphere with aligned MHD effect. The governing equations are first transformed into dimensionless form using dimensionless variables before the application of stream function which then produced a set of partial differential equations. The equations are solved numerically using a finite difference method known as the Keller-box scheme in Fortran program. Validations of present results are performed by comparing the present work with previous publications and the results show excellent agreement. Results on the effects of the viscoelastic parameter, K, material parameter, K1, mixed convection parameter, λ and the magnetic parameter, M on the distribution of velocity, temperature as well as microrotation were discussed together with the graphical representation. 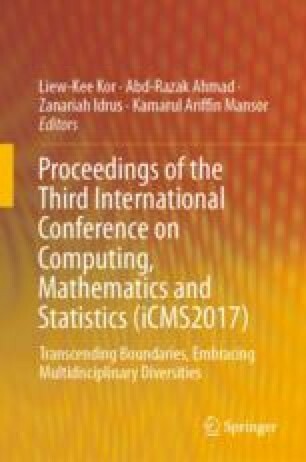 The authors would like to express our gratitude for the financial support received from Universiti Malaysia Pahang for RDU 161106 and RDU 1703258.